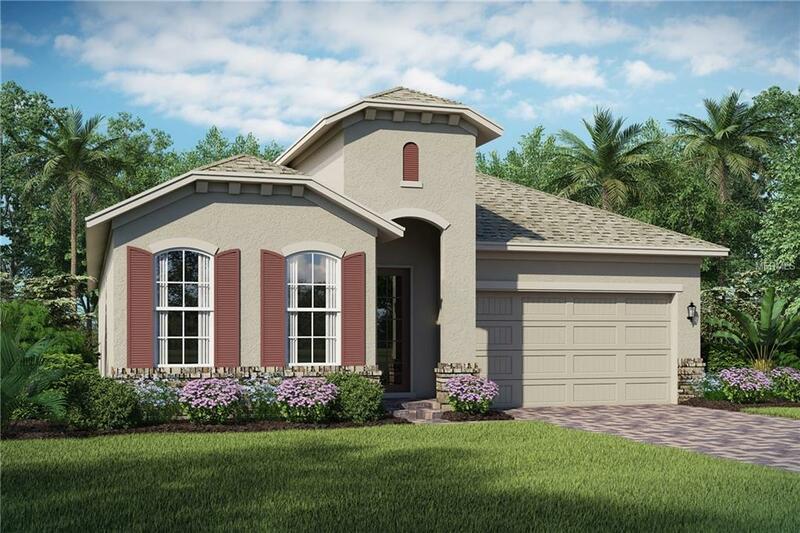 BRAND NEW home located in St Cloud! 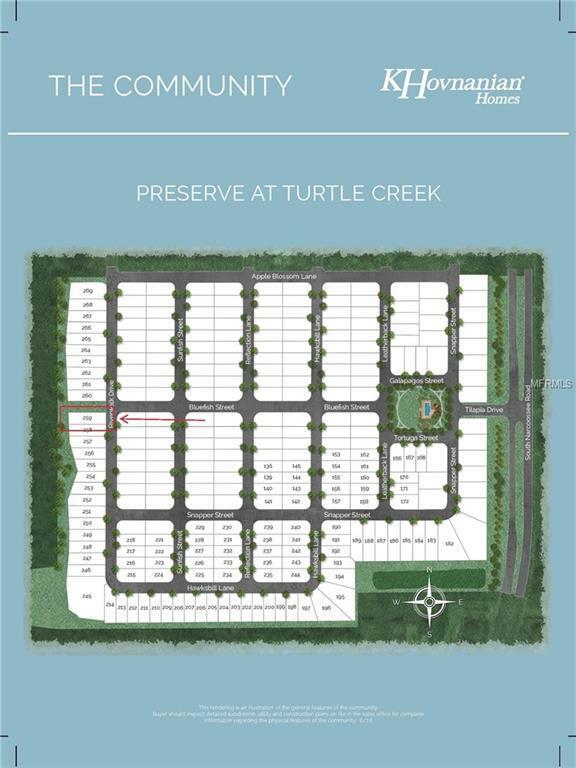 One of the last opportunities in this community which is conveniently located off Narcoosee Road, with access to SR 417 and SR 192. Beautiful resort style amenities! Beach style pool, oversized Cabana and Tot Lot provide year round entertainment. 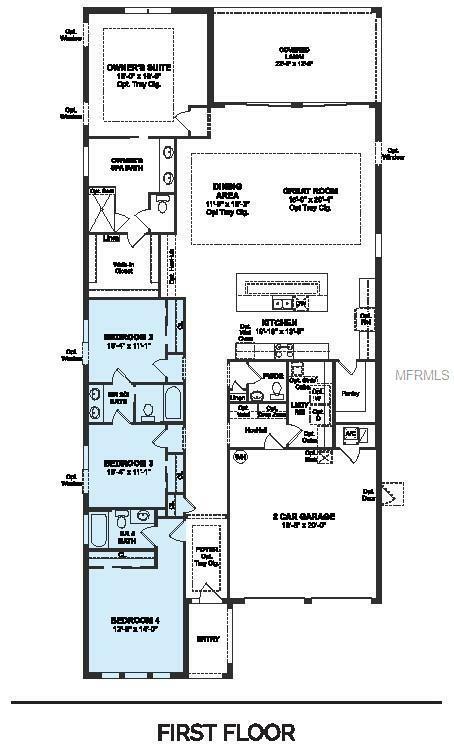 The Tompkins II is the single story ranch home you've been looking for. 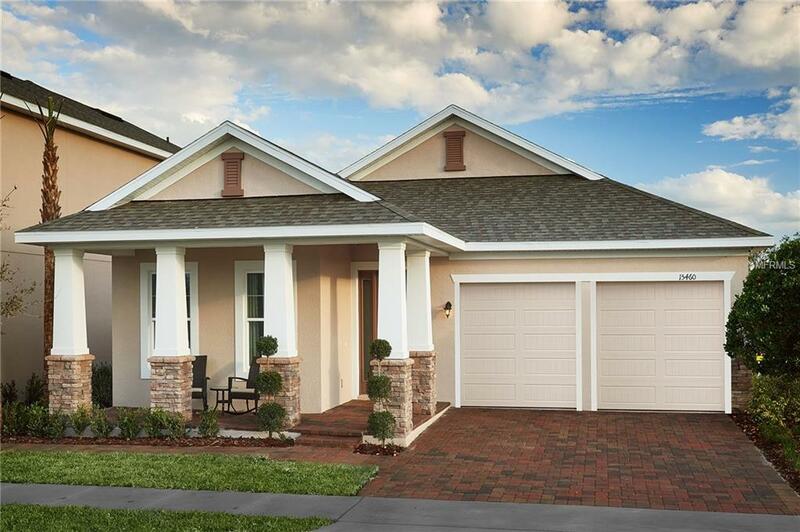 This spacious 4 bedroom, 3 bath home has a 2-car garagegiving you almost 2500 sqft of living. The open concept main living areas provide fantastic, oversized living or entertaining space. The modern, UPGRADED gourmet kitchen anchors the space with granite countertops, luxurious espresso cabinets and stainless steel appliances, along with recessed lighting. The LARGE oversized lanai is perfect for outdoor entertaining. The SPACIOUS owners suite has a large walk in shower with over-sized walk in closet.All common areas, including living room, have wood effect tile in warm brown. FOR LIMITED TIME if buyer elects to use builders preferred lender and title company ALL APPLICABLE CLOSING COSTS will be paid at closing.